Dress to make the best impression at your job interview. Because a first impression is a form of nonverbal communication, you must be ready for snap judgements and prepared to turn them in your favor. Deciding what to wear for a job interview can be a daunting task. It often feels as if there is a right answer and a wrong answer, but we have no way of finding out which is which. As a result, there’s a lot of grey area. To add to the ambiguity, our personal values, backgrounds, and perspectives also impact what we think is right interview attire. As always, by failing to prepare you are preparing to fail. This is the quintessential interview attire advice, and it applies to your attire too. You do not want to be standing in your room on interview day, surrounded by piles of clothing, crying that you have nothing to wear. When deciding what to wear for a job interview, take the time to think about what you want to wear, try on several options a day or two ahead, and choose. You might even want to have two solid outfits lined up in the event that you change your mind the day of. You want to spend the night before thinking about the content of your interview and visualizing your success, not fretting about whether or not you have the right shoes to wear. Choosing what to wear for a job interview boils down to two things: the company and you. Of course, you should do your best to mirror the company you’re interviewing at, but there’s another important element you can’t forget: feeling your best. People who feel good radiate positive energy — they're bursting with it. They’re smiling, happy, and do you know why? Because they are physically comfortable. If you hate being in suits and you force yourself into one, you will be adjusting and tucking all day. You will feel restricted and that will prevent you from being your best self. Instead of being the positive, radiant, happy person you know you are, you will be counting down the minutes until you can peel the thing off. 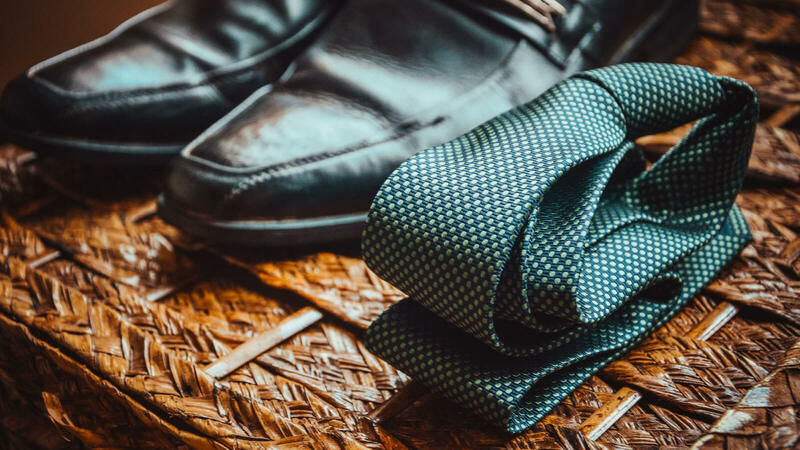 Another reason to keep yourself in mind when picking out what to wear for a job interview is that you want to accurately represent who you are to your prospective employer. If you have no intention of ever wearing a suit when you get the job, then why put one on for the interview? If your response is something like “Well the company has a dress code so I guess I have to,” do you really want to work at a company that will insist you dress up every day? You also don’t want to show up in a sharp suit at the interview only to surprise them when you show that you’re really much more casual. They will feel like you were someone else during the interview. Don’t contrive to fit their mold. Be yourself, and if they don’t want you, it’s not meant to be. You want to look like you. If you’ve sussed it out and you’ve figured out their culture, the dress code is going to fall into one of three categories: casual, business casual, or business. Make sure you’ve done your homework before showing up dressed casually to an interview. Remember, you can never be overdressed but you can certainly be underdressed. I once worked for a company that embraced what we fondly referred to as a “barefoot culture,” which meant, quite literally, that people regularly took their shoes off at work. But did we expect candidates to show up in beach shorts and tanks? No. We still expected a cleaned-up look. If you do land an interview and you’re sure that you should be dressing casually, you’ll want to look smart, not casual. 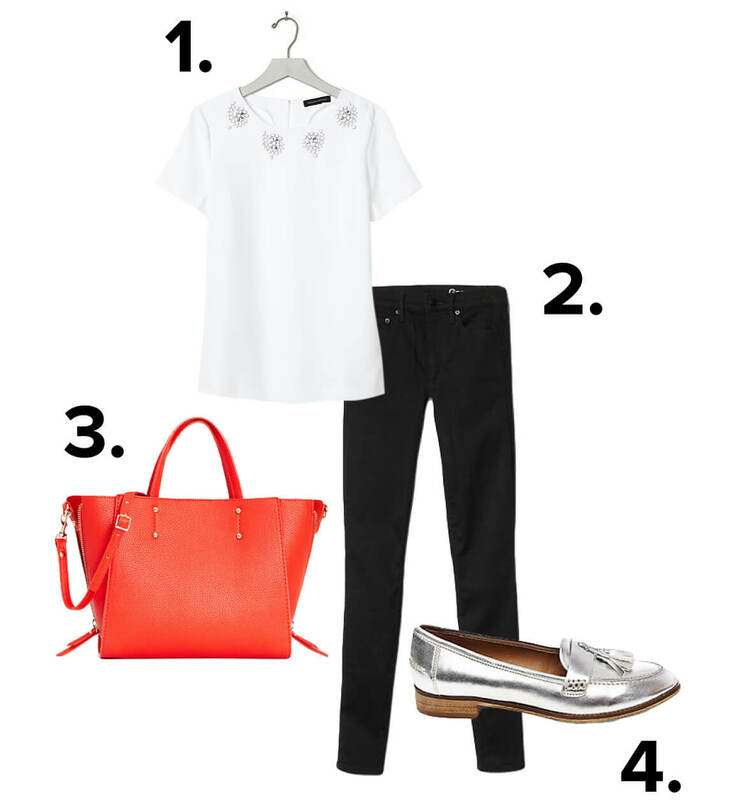 For women, pair dark denim with a blouse and some simple jewelry. The key is to look polished. The top should be dressier to balance out the denim and you should absolutely wear a professional shoe with this look. For men, it’s about sending that same message: casual, crisp, and clean. Even if it’s a casual look, wear a collar because t-shirts won’t cut it in a job interview. Dark denim paired with a shirt with good lines and thoughtful accessories will do the trick — you can never go wrong with a strong watch You might be able to get away with sneakers, but they should be dressy sneakers, not your cross trainers. 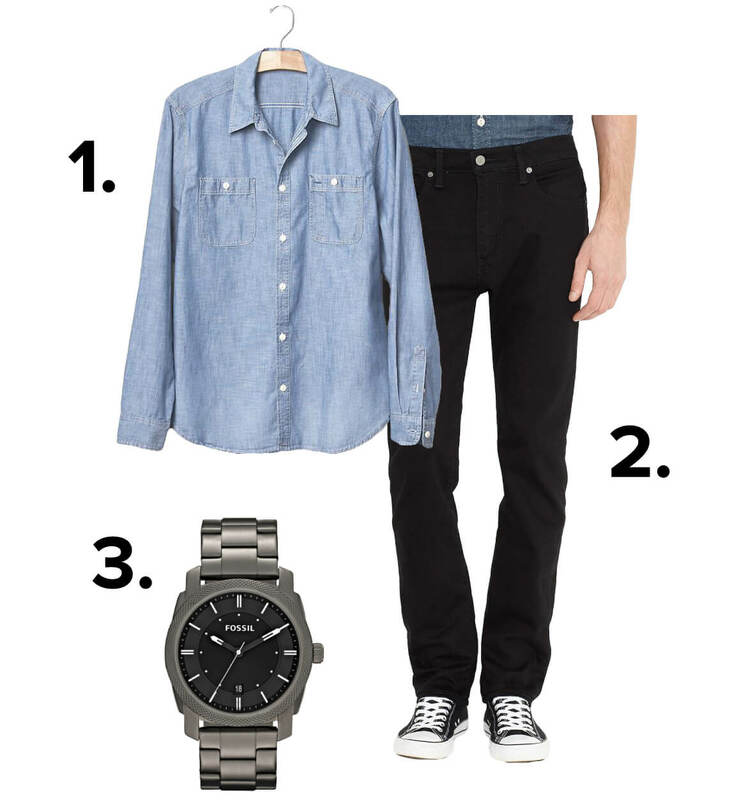 A denim shirt is a fantastic option for a casual-but-smart look because it’s a dress shirt but made of denim. Perfect. If you’ve looked inside yourself and researched the company and you still don’t know what to wear, go for business casual interview attire. When in doubt, it’s almost always business casual. Most simply put, this dress code means business clothing without a mandatory tie or jacket.For women, business casual interview attire is a sharp button-up shirt or a conservative blouse paired with trousers or a skirt. You could also wear a tailored dress. Shoes should absolutely be business appropriate — flats, loafers, or heels. Ladies, do not wear shoes that are uncomfortable. Your stilettos may be beautiful, but if you can’t walk around your prospective new office comfortably, you will look uncomfortable and ultimately act uncomfortable. Keep cleavage to a minimum and skirts at knee length. For men, business casual interview attire means a collared shirt (tie optional) and dress pants. While a jacket is also optional, it does set a polished tone. Here is a great opportunity to show your personality through colors. Every other candidate you’re up against is probably wearing a black or grey suit with a similar shirt and tie combo. 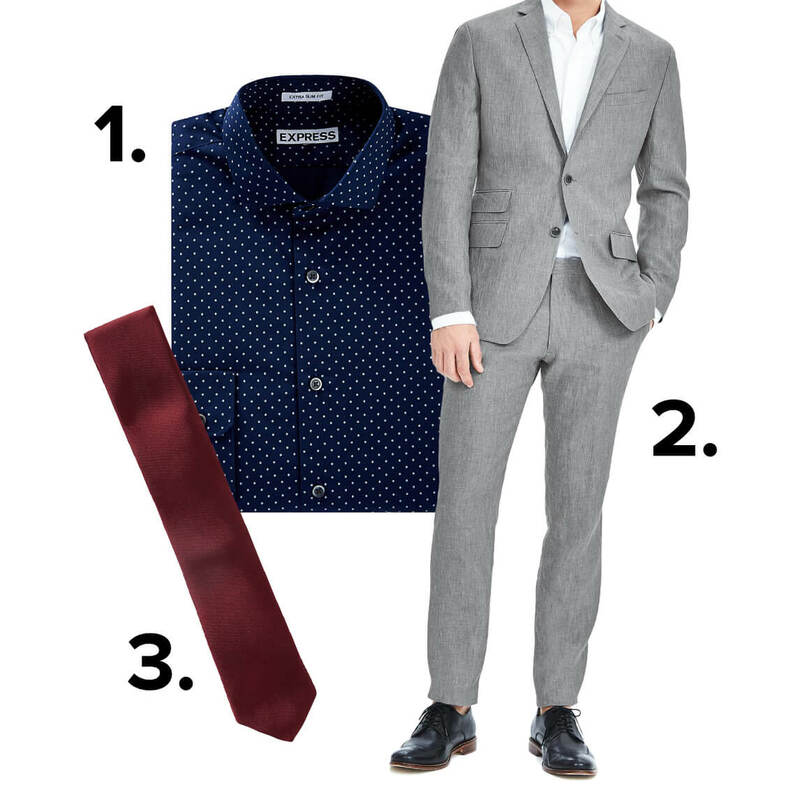 Show your personality and stand out with a unique shirt or suit color. 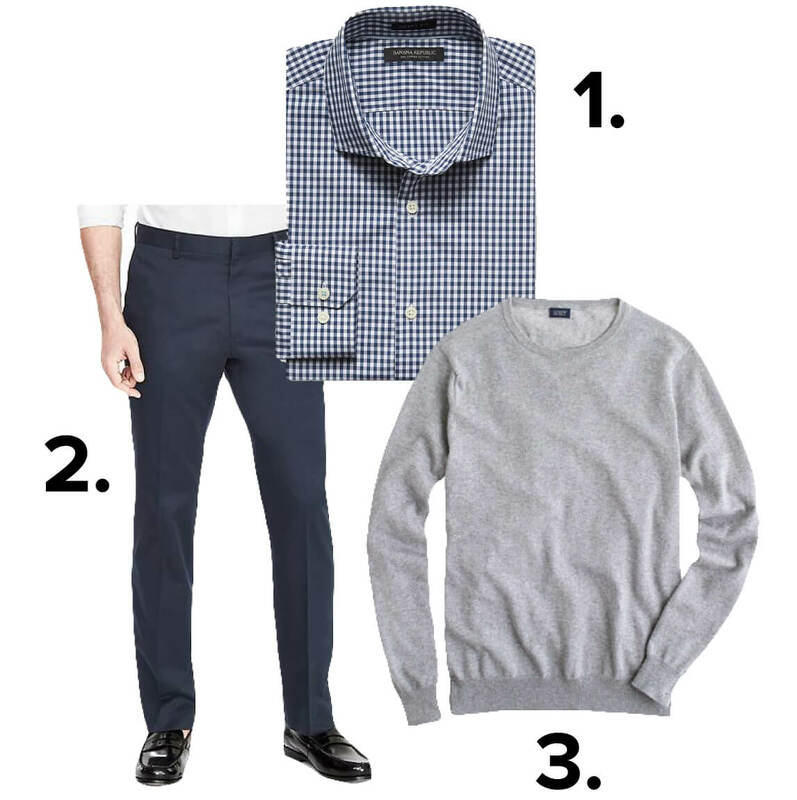 If you’re totally against wearing a jacket, you could choose dress pants with a dress shirt under a nice sweater. This is a comfortable look that will keep you looking professional and feeling at ease. For men and women alike, business means that you want to look as tailored as possible-- you want to look as if your clothing was cut especially for you. For women, a traditional suit is a solid option, but there are also some non-traditional items available that can show off your personality and achieve the dress code just as well. Stick to the rule of dress pant/skirt and jacket and find a creative balance that will work for you. For men, unfortunately, your clothing options are more limited. You’re going to have to wear a full suit, tie included. But, you can spice it up by adding interesting pieces like a vest or a sweater that will give some dimension to your otherwise simple look. Be cautious of adding too many layers thought — you don’t want to create an oven for yourself! You can also add touches like cufflinks to your suit to show a little flair. When it comes down to it, follow the golden rule when dressing for an interview: wear things that make you feel good. If you feel good, you’ll be comfortable. And if you’re comfortable, you’ll think clearly and communicate effectively. Focus on feeling good and you’ll make your interview a success. Now that you’re dressed for success, make sure your interview skills land you the job. 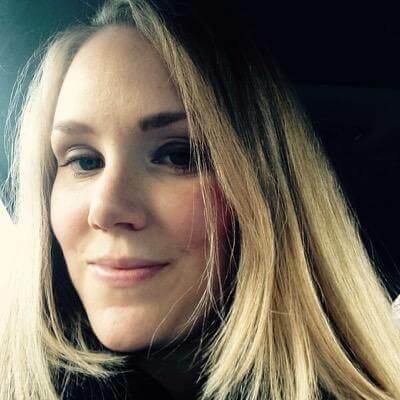 Interviewing coaching from our sister site, TopInterview, can help!